As the Internet of Things drives a plethora of new devices into the market, reaching a billion customers worldwide requires the ability to connect and engage at unprecedented scale. With a billion customers, a multinational computer software company’s marketing team is continuously challenged to boost customer loyalty and drive incremental value through its subscription-based model. The explosion of the Internet of Things (IoT) has added a level of complexity to subscription-based software, providing new use cases to an already extensive array of devices and applications. Engaging customers at different stages of their marketing journey necessitates creating personalized messaging, scenario-specific experiences and multi-channel campaigns. It also requires the ability to identify which devices customers use for specific tasks and adapt to new IoT devices that continue to evolve. Leveraging Azure expertise to drive IoT scale. Creating a platform that enables this type of rich communication across a billion customers demands the ability to scale at an unprecedented level. 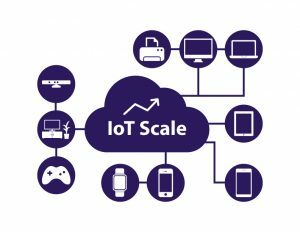 Called IoT scale, it involves a matrix of systems and services deployed simultaneously around the globe, activated with precision accuracy and the ability to not just reach specific devices, but to facilitate communication among them in real time. Then, collecting and analyzing that big data to make predictive or reactive decisions based on business objectives. Personalized communication to users of desktop, web, and mobile IoT device platforms including Windows 10, iOS and Android. Utilized a combination of technologies to pull and push messages to each platform using Web APIs and Azure Notification Hubs. Scaled web applications into the U.S., Europe, and Asia to support global delivery of a billion requests per month while maintaining sub-second data retrieval times. Distributed marketing assets such as video and images using Azure Content Delivery Network to cache on-the-edge networks for speedy content download. Stored hundreds of terabytes of data at rates of 10s of GB per hour, adding up to more than 1.5 billion requests per month through rich adoption of DocumentDB, Azure Table Storage, Blob Storage and Azure SQL. Utilized Azure Event Hubs, Azure Service Bus and Stream Analytics to process and analyze gigabytes of data every second. 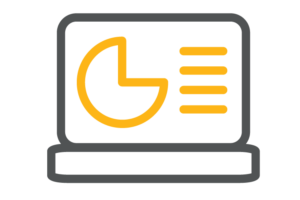 Created real-time dashboards for campaign analysis and provided the ability to track specific customer behaviors and predict future actions. Predicting behavior at unprecedented scale. Leveraging an extensive combination of APIs and interfacing them with Azure Notification Hubs enabled the client to predict the actions of up to 20 million users each month. Quick A/B testing allowed for real-time analysis on billions of data, providing pinpoint visibility on customers who were ready to purchase or at risk of competitive influence. Managing complexities at IoT scale allowed the client to filter out billions of messages, ensuring they connected to the right customers on the right devices at the right time.